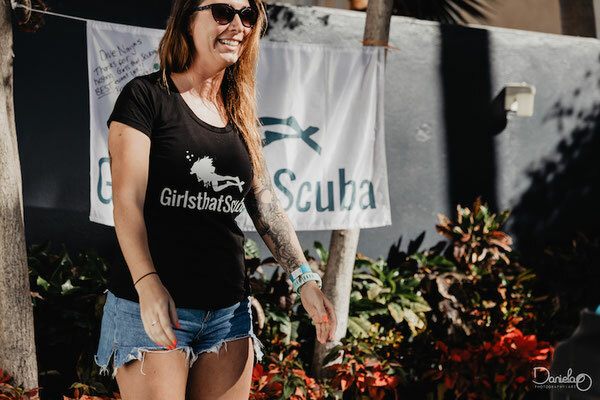 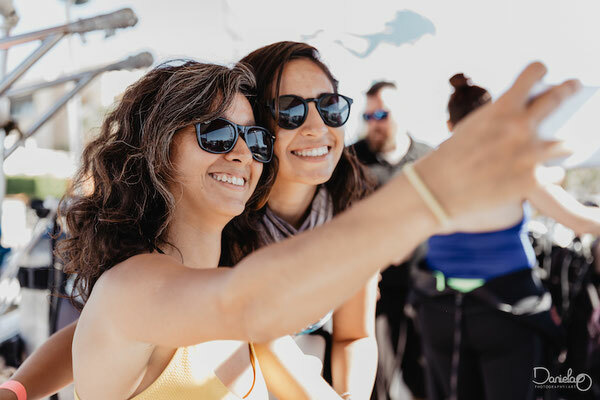 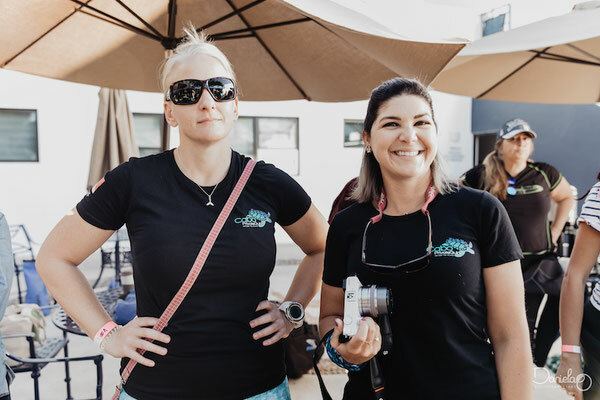 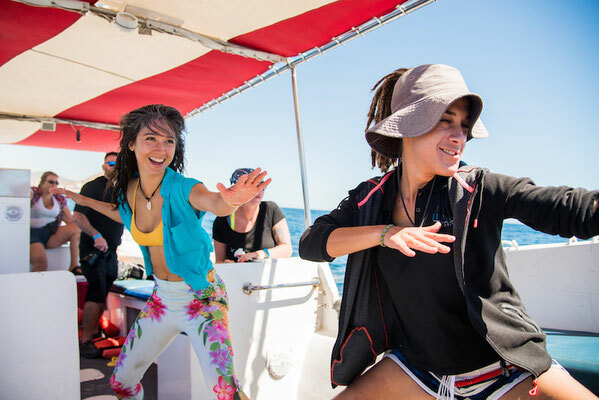 Following the success of last year’s GTS Day in Cabo with Dive Ninjas, which included amazing all-female diving among schools of mobula ray in Cabo’s spectacular deep canyon, Girls That Scuba returned once again for another piece of the action. 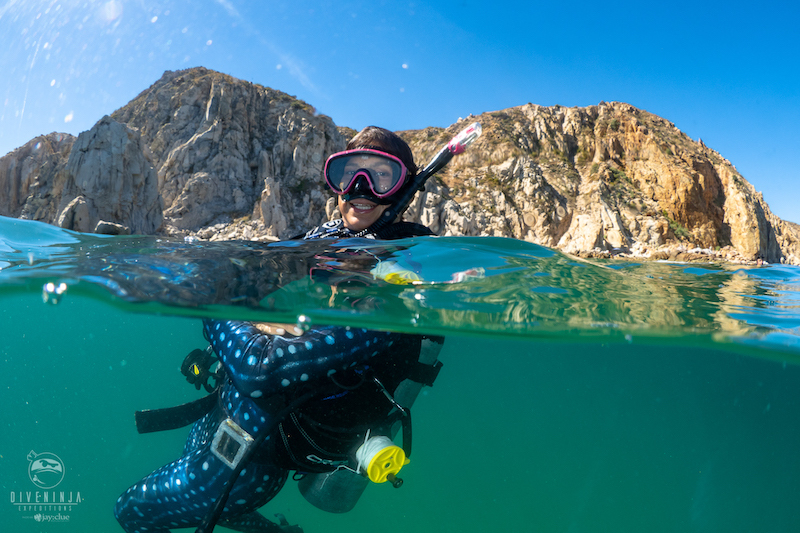 If you read our last trip report about this great dive location you’ll know that Los Cabos is at the most southern tip of Baja California where the Sea of Cortez meets the Pacific Ocean; a truly spectacular place where you can see large aquatic life such as whales, orca, sea lions, schooling mobula, schooling hammerheads and lots, lots more. 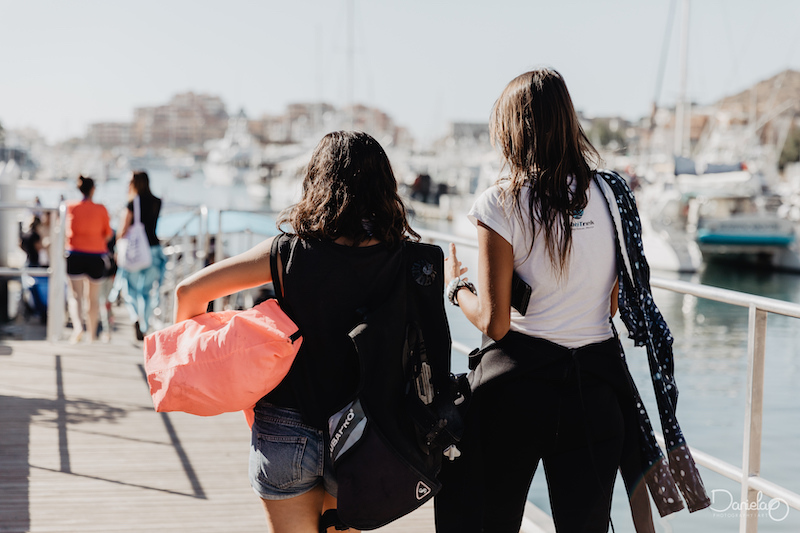 It's one of our favourite ocean destinations and we were so happy to be back! 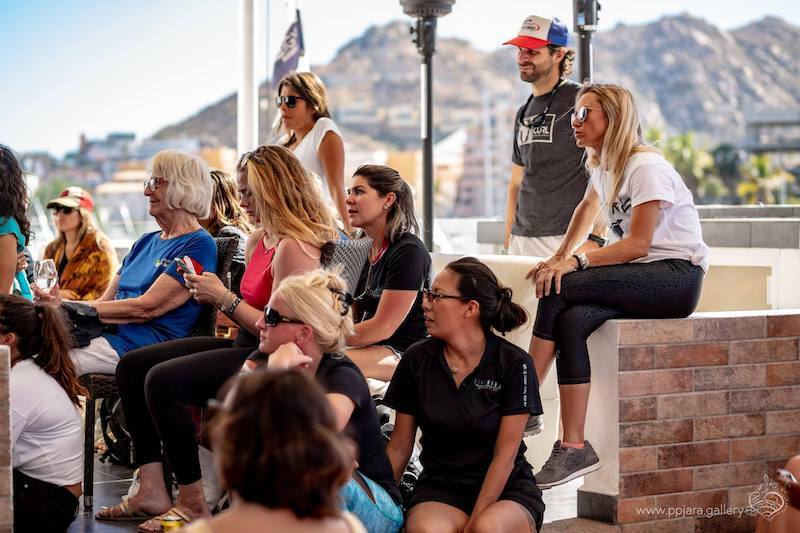 GTS take over Los Cabo marina! 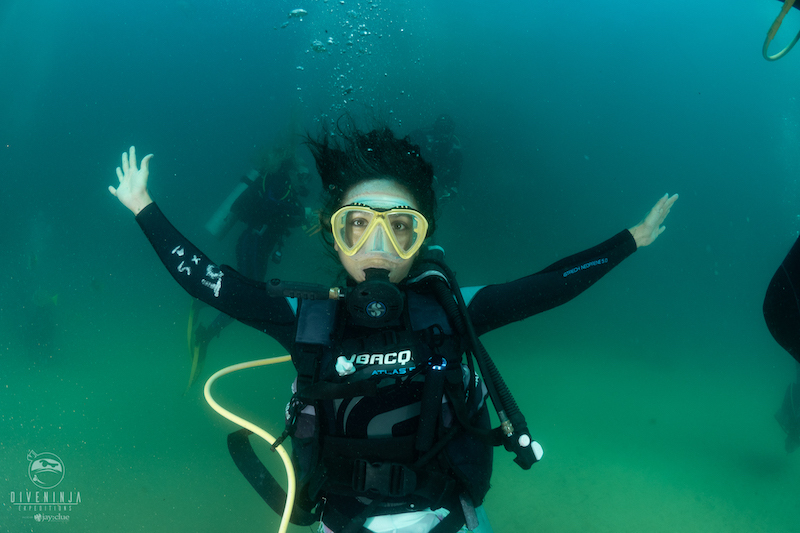 The weekend kicked off with a Night Dive in the bay with Cabo Private Guide. 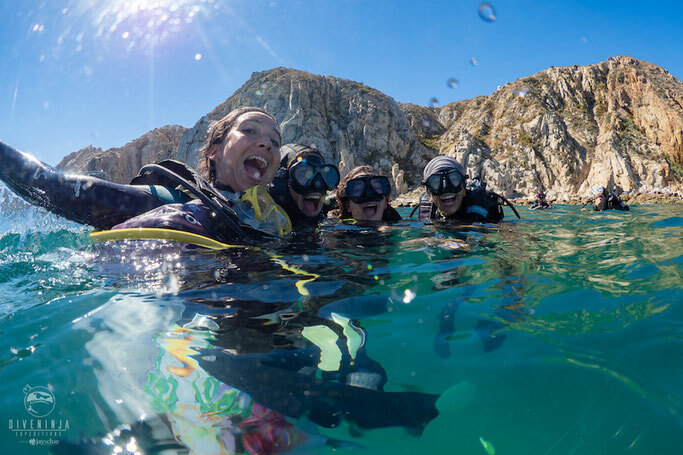 Divers explored the rocky walls covered in bright orange California Cup Coral, large grouper, eel, huge lobster and lots of active crustaceans. 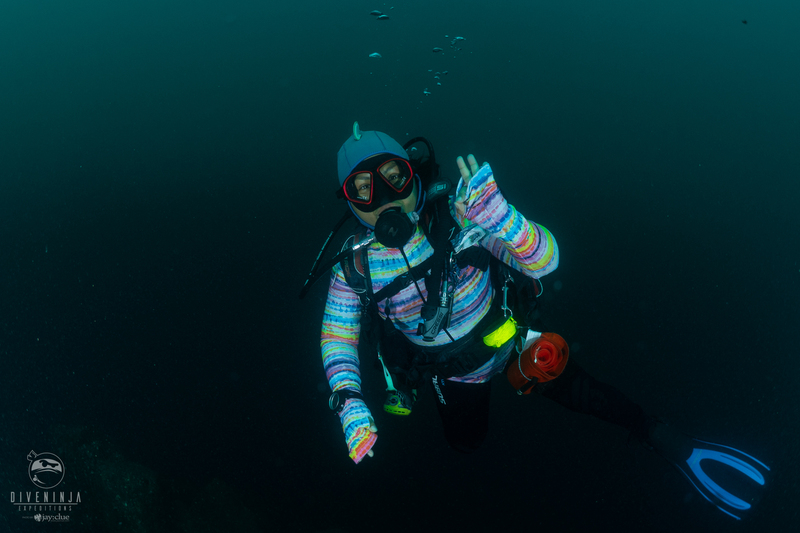 The highlight for most was the chance to dance in the bioluminescence with flashlights covered! 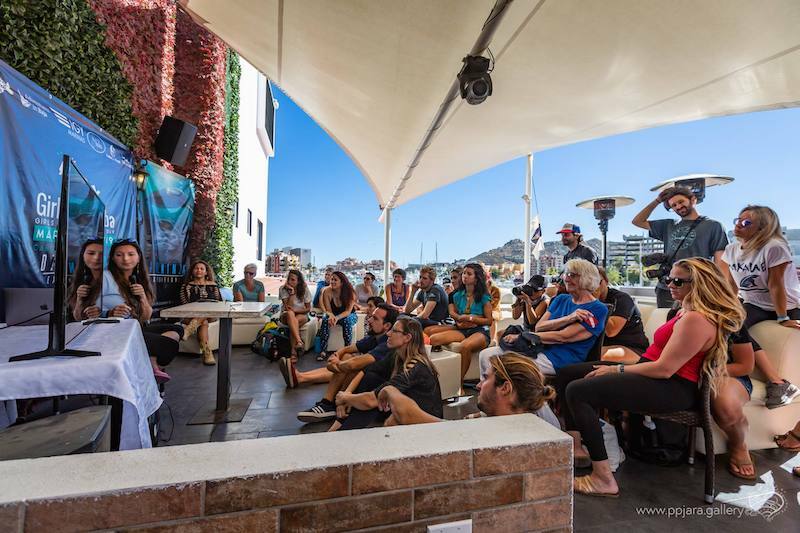 The main event the following day started with a buzz over introductions and coffee at The Roof. 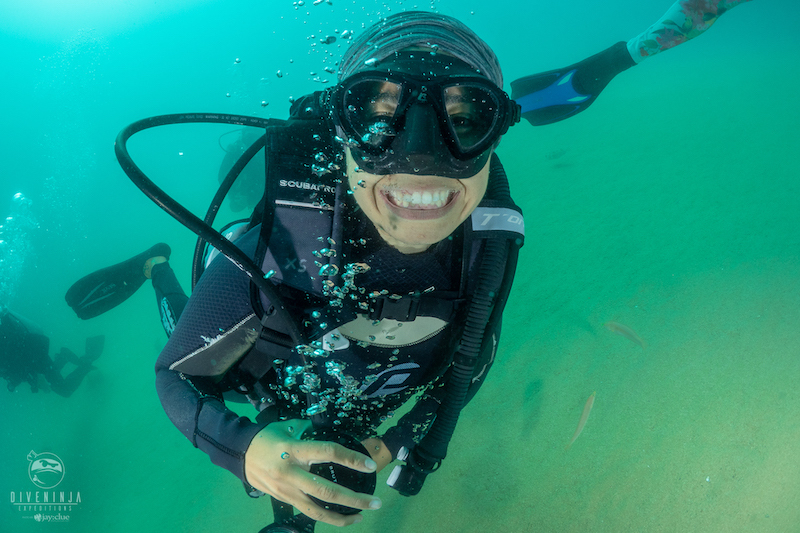 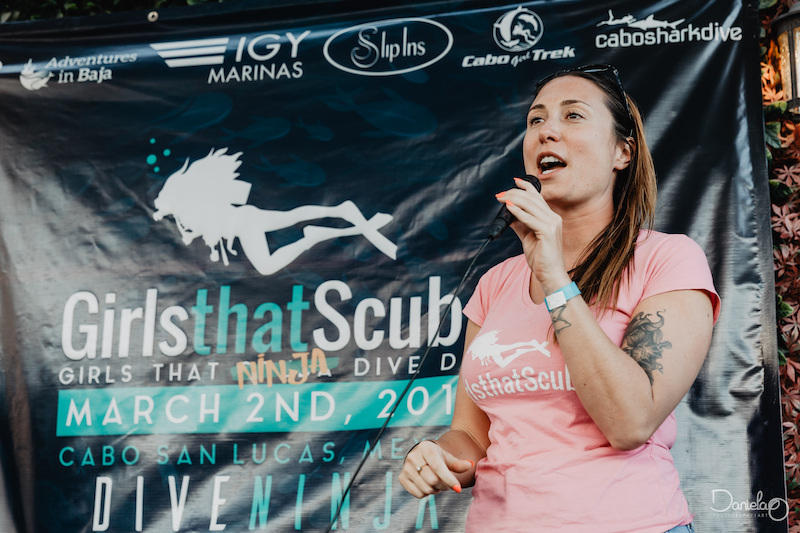 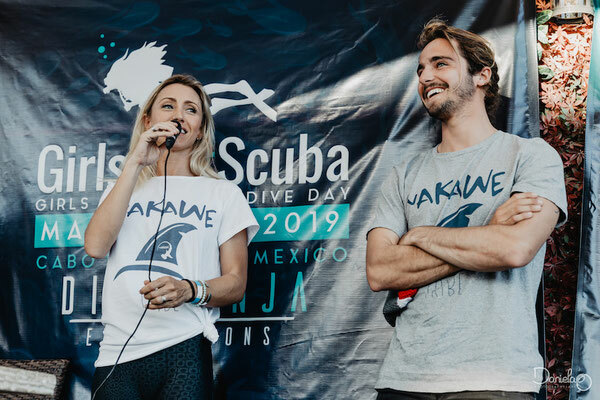 Taking centre stage was Sarah Richard from Girls That Scuba, organisers Dive Ninja Expeditions and Sponsors: Cabo Private Guide, Adventures in Baja and Cabo Trek. 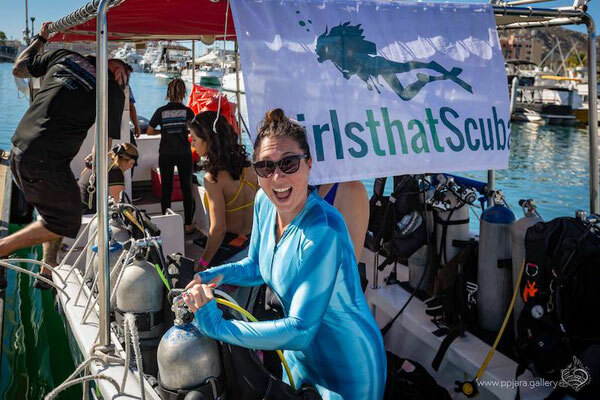 Divers were arranged into groups before departing IGY Marina in convoy to the Pelican Rock dive site. 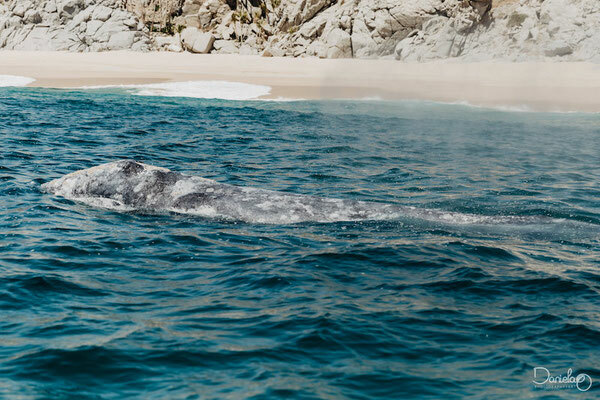 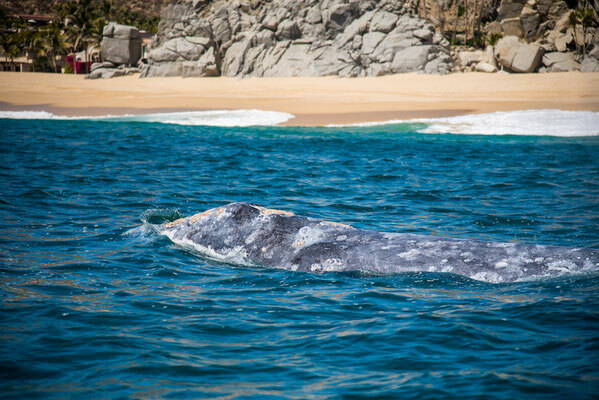 A whale watching expedition followed the dive and we immediately encountered 3 Gray whales close to the Pacific beaches - incredible! 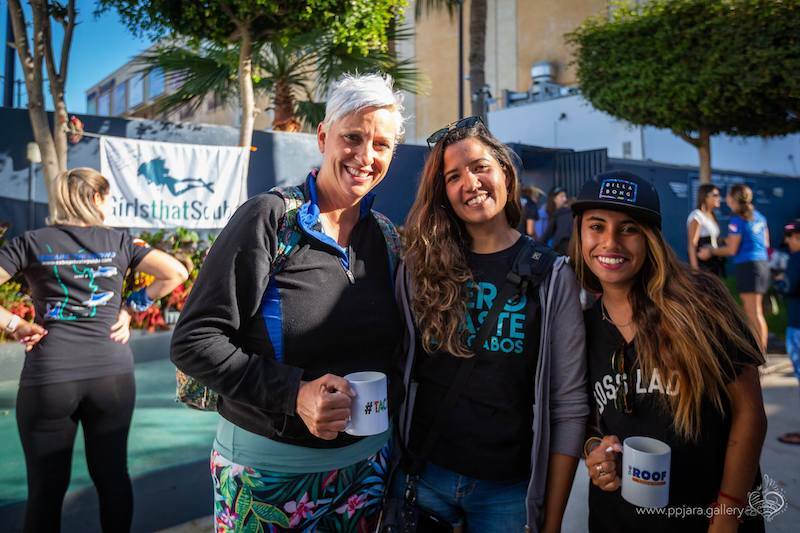 We heard that Orcas had been seen in the area the very same day!! 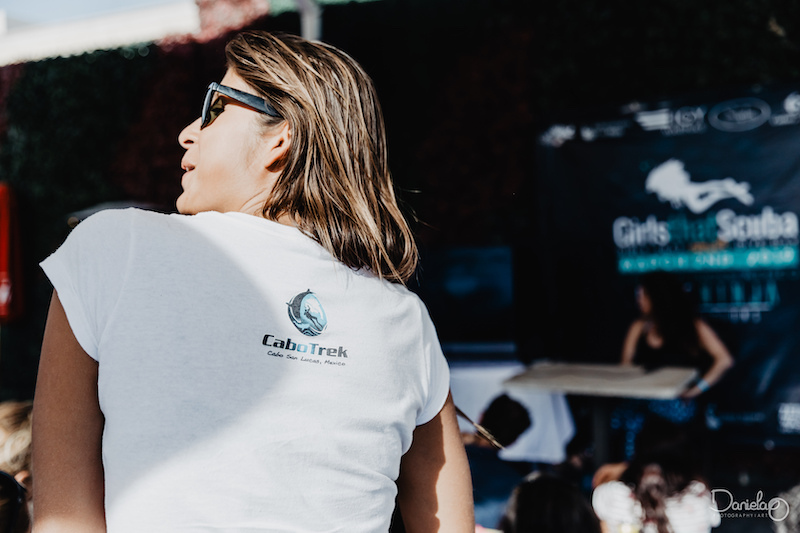 After lunch we had the pleasure of listening to some truly inspirational and pioneering women. 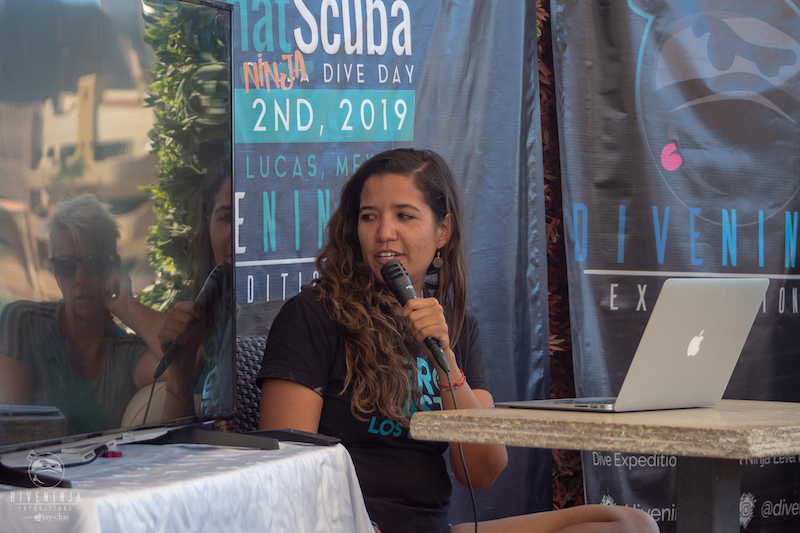 Daniela Ortiz from Zero Waste Los Cabos shared her passionate views and ideas about implementing a waste free environment with applications to diving. 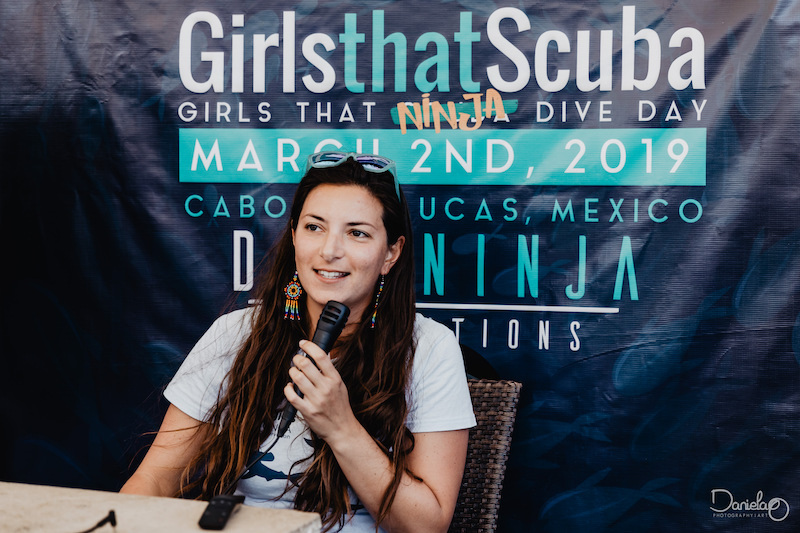 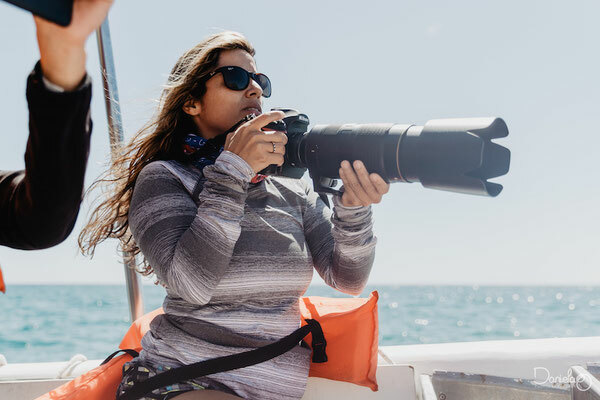 Tania Pelamatti, from Pelagios Kakunjar, treated us to some intriguing facts about Manta populations around Mexico while Deni Ramirez, Director of Whaleshark Mexico, discussed the interesting ways they monitor whalesharks here in Baja California. 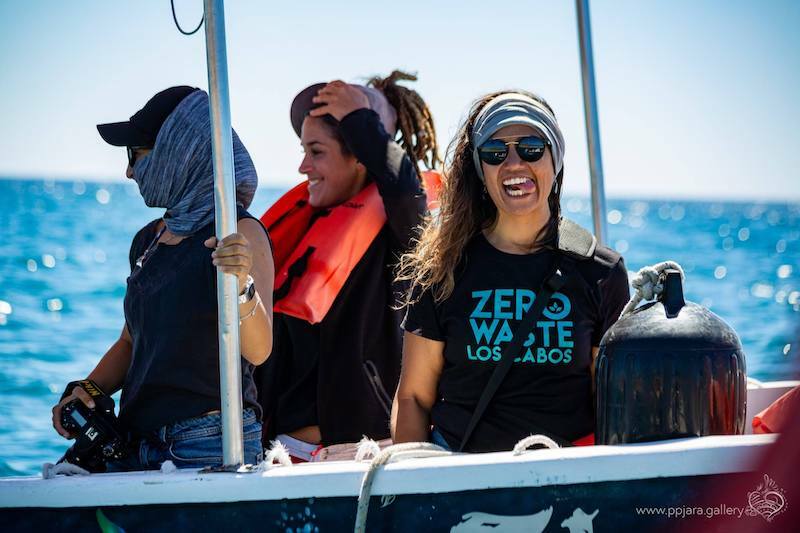 Regi Domingo, Founder of Nakawe Project, was impressive as always with her commanding speech about shark conservation. 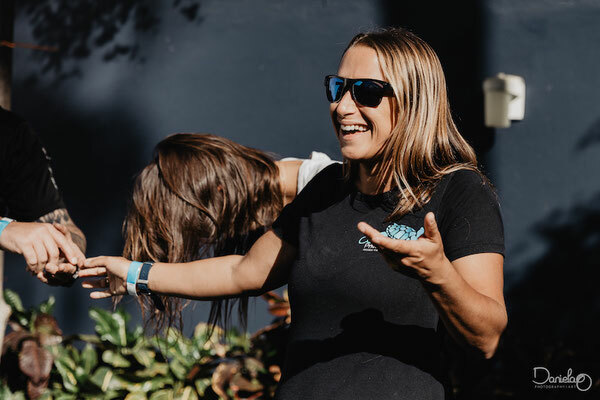 The talks finished with Sarah’s inspirational talk about how Girls That Scuba was created and how it continually grows as a leading force in the world of Scuba. 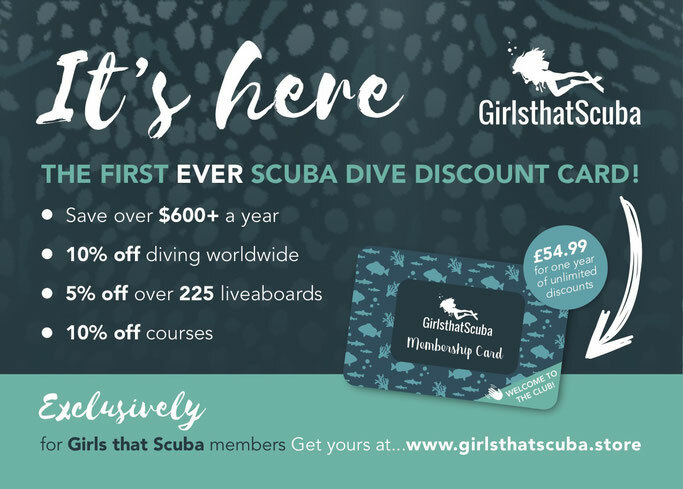 Hang on, that’s not all! With one day left of the GTS weekend the girls were invited on an adventure to… SHARK DIVE! 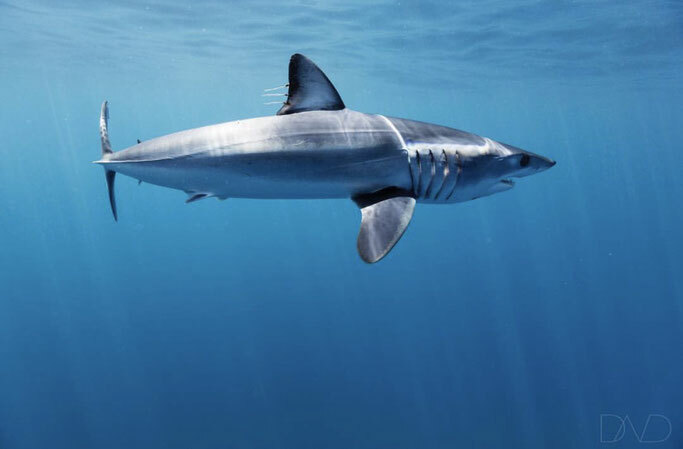 Cabo Shark Dive is an entirely original concept unique to Cabo inspired by shark lover Jacobo Brunetti and his team of shark experts. The last day of the GTS event was spent with their crew looking for sharks in a secret hotspot. 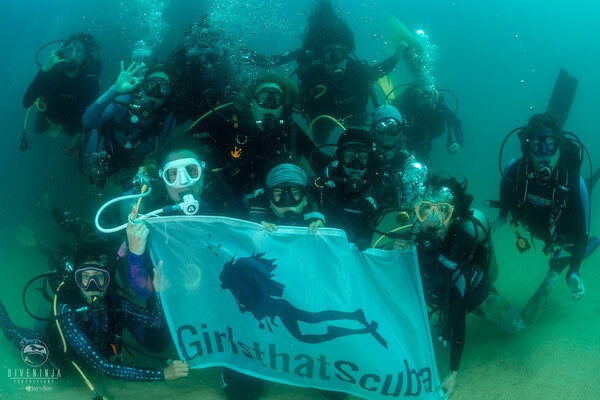 Once again Girls That Scuba acted as a great platform for women to meet, greet, dive and thrive. 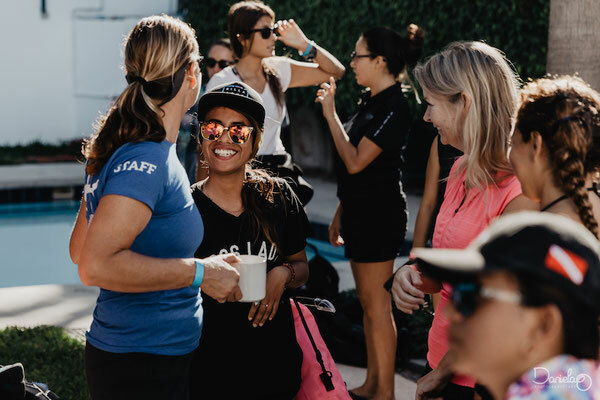 Women from all over the world came together to learn from each other, to be together and do what we do best - have fun! 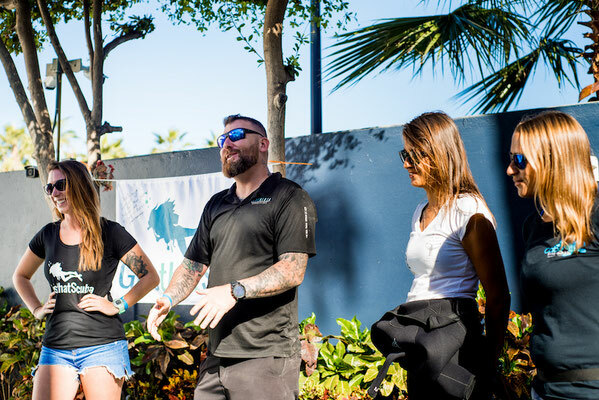 This community grows stronger and stronger day by day. 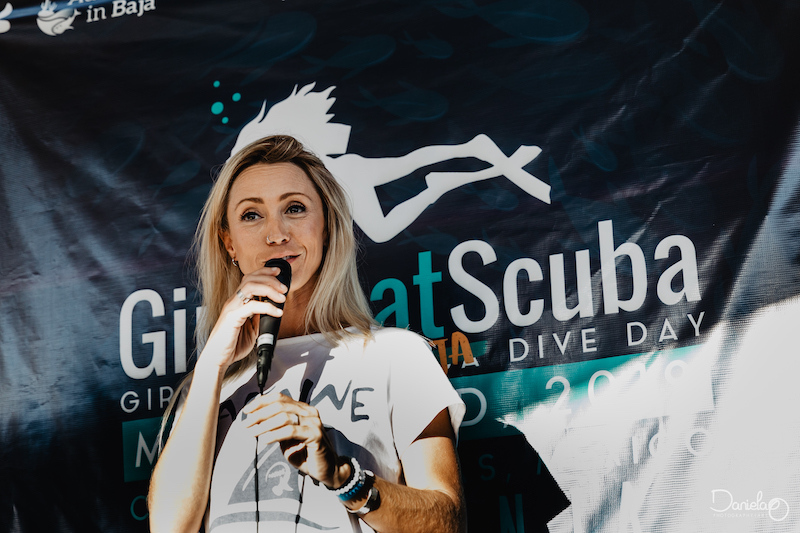 We must thank organisers Dive Ninja Expeditions for bringing this day together once again. 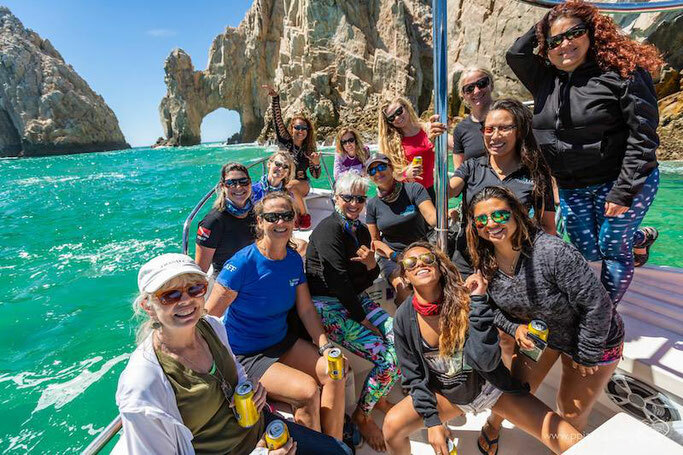 Thank you to our female-owned business sponsors: Cabo Private Guide and Adventures in Baja and to sponsors Cabo Trek. 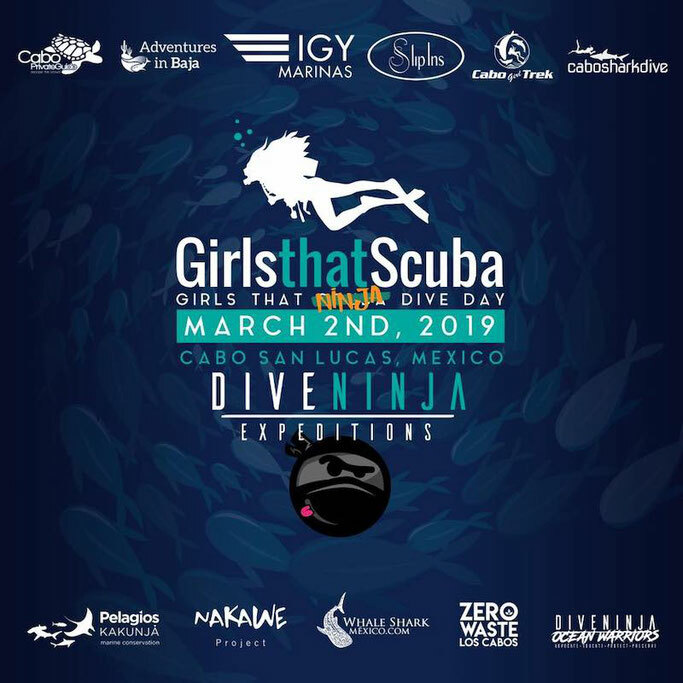 A big thanks also to IGY Marina for special access permissions and The Roof for hosting the whole day’s events, Slipin dive skins who made our girls shine bright underwater. 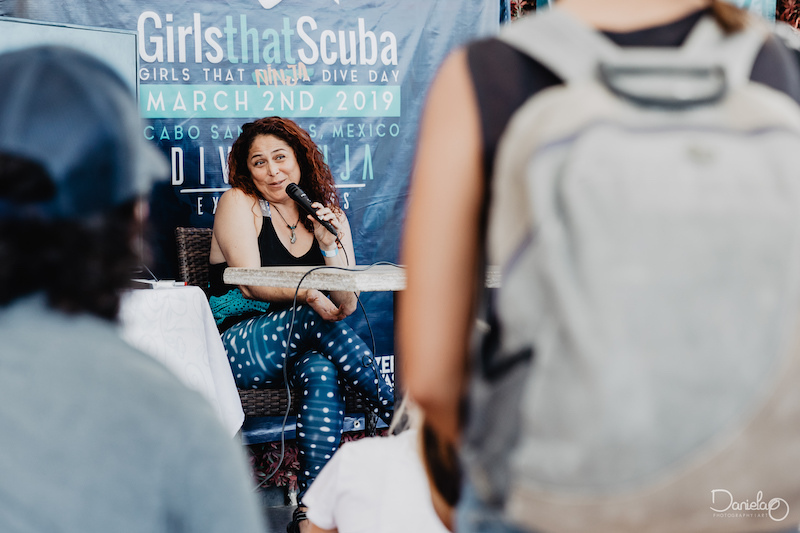 In addition, thank you Pepe Lara photography, Daniela Ortiz Photography, Cecilia Mar Ruiz Photography and the raffle sponsors already mentioned above. 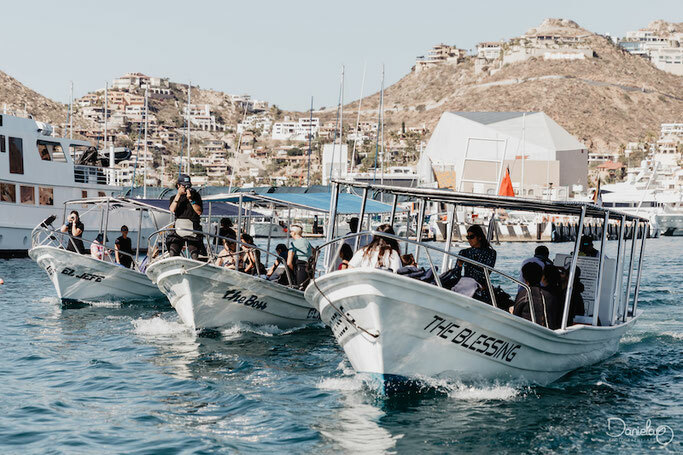 Straight after our GTS events we headed off on a road trip around Baja California with a mission to create an epic group expedition for 2020! Let us introduce to you "GTS Gentle Giants expedition 2020" currently only 5 spaces left in this once-in-a-lifetime experience. 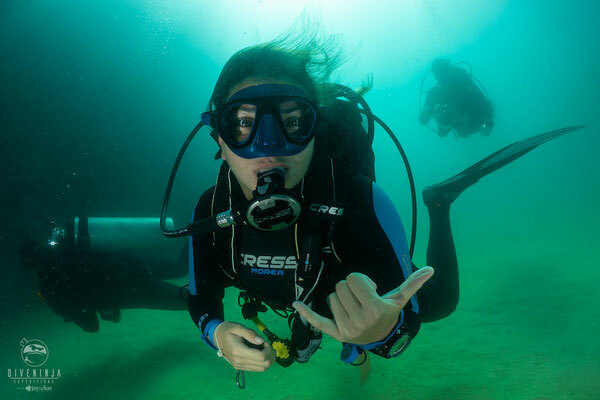 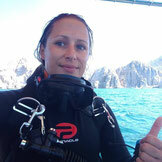 Laura is from the UK and has been traveling the world as a dive pro for almost 10 years. She is now living in Baja California with her partner and 2 year-old son where she operates a diving and adventure snorkelling tour company; Cabo Private Guide.